Resisting the "law of greed"
In 2011 in a small court in Ecuador’s Amazon jungle, a judge ordered the American oil giant Chevron to pay US$9 billion dollars in damages for pollution in the region that was caused by drilling activities in the 1970s and 1980s. The company quickly denounced landmark ruling as illegitimate. More than a year before the final ruling had been issued, Chevron had already taken steps to initiate an investor-state dispute against the Government of Ecuador under the terms of a US-Ecuador bilateral investment treaty (BIT). The company seeks to avoid paying the US$9 billion by convincing an international tribunal that the courts of Ecuador are corrupt and that the government is ultimately responsible for any environmental damage and associated health issues experienced by local residents. In the same year, only days after a tsunami struck Japan leading to the Fukushima nuclear disaster, German Chancellor Angela Merkel announced the closure of Germany’s oldest operating nuclear power plants. Shortly thereafter, the government moved to phase-out all nuclear power by 2022. While German society has embraced this policy move, unsurprisingly nuclear power companies in the country did not. In 2012, after months of threatening to take the government to arbitration, the Swedish energy company Vattenfall finally launched its case under the provisions of the Energy Charter Treaty, an international trade and investment agreement in the energy sector. Press reports have suggested that Vattenfall will claim €4.7 billion in compensation for the closure of its two nuclear power plants. The company reached a settlement with the government in a previous dispute over the regulation of a coal-fired power station. On the other side of the world, Australia was introducing legislation in 2011 that requires that all tobacco products be sold in plain brown packaging. Health warnings would still be included on cigarette packets, but logos would disappear. Several companies challenged the legislation as an expropriation of their intellectual property in Australia’s High Court. They lost. However, one company was also able to pursue its case for compensation in international arbitration. Philip Morris International restructured its investment through its Asian subsidiary in order to access arbitration under a BIT between Hong Kong and Australia. The company was no stranger to arbitration as it had already launched a dispute against Uruguay for similar tobacco packaging requirements. As the above examples demonstrate, it is not only the number of disputes that have arisen and the number of states that have been involved that is notable, but also the particular nature of disputes that have emerged. Rather than solely involving straightforward incidences of nationalization or breach of contract, modern investor-state disputes often revolve around public policy measures and implicate sensitive issues such as health and environmental protection. How did such matters become the purview of unelected ad hoc panels whose expertise lies in the realm of commercial law? The answer is not immediately evident. It could be argued that it is states themselves that are responsible. Governments have quietly been negotiating BITs and regional trade & investment agreements that provide foreign investors with considerable legal protection and access to international arbitration. There are more than 3200 such agreements in existence.3 Governments, particularly in developing countries, also sign contracts directly with foreign investors that contain similar privileges. However, although states may have opened the door to ISDS, they arguably did not anticipate that arbitral tribunals would reach so far into the public policy domain. Investment treaties were ostensibly created to promote foreign investment in developing countries and designed to protect investors from discrimination and particularly egregious conduct on the part of the host state. While the performance of investment agreements in helping states to attract investment is debatable, the success that investors have had in convincing arbitrators to stretch the traditional meaning of clauses on ‘expropriation’ and ‘fair and equitable treatment’ is undeniable. Professor M. Sornarajah, an eminent critical legal scholar, argues that as a result the field of international investment law is “increasingly becoming bereft of the values of peace and justice that have been held to be the basis of international law”.4 He calls it “the law of greed” because “it is built on accentuating only one side of the picture of foreign investment so as to benefit the interests of multinational corporations which exist to seek profits for their shareholders”.5 More and more governments are coming to the same conclusion and are actively resisting further expansion of the law and in some cases are even beginning to reclaim their policy space. This article traces a brief history of international investment law and explains why it is so problematic from a public policy perspective. It then showcases recent efforts by governments to push back against the encroachment of investment law into the public policy domain. As there is not an unlimited supply of investment that is equally distributed around the world, it is often argued that states must compete for foreign direct investment (FDI). Governments compete for investment by providing incentives (such as tax holidays, loan guarantees and cash grants) and also by differentiating their legal jurisdictions from those of their competitors. In this latter sense, legal reform has become an important tool for developing countries in their bid to attract FDI. Domestic measures, although important for signaling, are limited by the ‘credible commitment’ problem. That is to say, governments cannot demonstrate to investors in a meaningful way that a country’s ‘investment environment’ will not simply be changed once investors have established themselves in the country and have substantial sunk costs. Furthermore, due to the perceived or real corruption of the courts in many countries, investors don’t view local remedies as a neutral or fair option for the resolution of disputes. This is the reasoning behind the development of the system of ISDS. The first proposal for ISDS emerged in the 1959 Abs-Shawcross Draft Convention on Investment Abroad.6 Businessmen rather than governments drafted this document, but it provided a model that proved to be extremely attractive to developed countries and was taken up by the Organisation for Economic Cooperation and Development (OECD) in its Draft Convention on the Protection of Foreign Property of 1962. While the OECD Draft Convention was never adopted due to opposition from some Member States, it was revised in 1967 and approved by the Council of the OECD as a model for BITs. In addition to hoping to attract FDI, many governments in developing countries were pressured by developed countries and international finance institutions to sign BITs. Jose Alvarez, a former member of the US BIT negotiating team, has acknowledged that a BIT is “hardly a voluntary, uncoerced transaction”.8 The most economically and politically powerful developing countries have managed to avoid BITs; Brazil has signed several, but never ratified one, and China’s BITs have historically been quite strictly circumscribed. OECD countries participate in BITs almost exclusively with developing countries; while there is an increasing number of South-South BITs, there is a dearth of agreements between industrialized nations. On the other hand, there are a number of bilateral and regional free trade agreements between developed countries that have chapters on investment, the most famous being the North American Free Trade Agreement (NAFTA). NAFTA’s Chapter 11 on investment marks a significant milestone in investment law, despite the fact that the language of many of the provisions in the agreement is essentially drawn, with relatively minor modifications, from BITs that the US had concluded prior to 1993. It is noteworthy, because ISDS under Chapter 11 has been extensively employed by investors, marking a new era of investment arbitration, and arguably triggering the current surge in disputes brought under other agreements. Despite the fact that the investment chapter was largely aimed at constraining Mexico, investors have made claims against all three signatory countries and Canada has actually faced the largest number of disputes. In recent years, several similar treaties have been negotiated which expand NAFTA-style investment protection to other parts of the world. The US-Central American Free Trade Agreement (CAFTA) was signed in 2004. Negotiations were also held for a Free Trade Area of the Americas (FTAA) to cover every country in the Americas except Cuba, but they broke down in 2005 and never resumed. In 2010, negotiations for a Trans Pacific Partnership (TPP) agreement between nine countries (Australia, Brunei, Chile, Malaysia, New Zealand, Peru, Singapore, the United States and Vietnam) began. Since then, Canada, Japan and Mexico have joined the talks, making in the largest trade negotiation outside of the World Trade Organisation (WTO). In 2013 and 2014/15, the EU was in negotiations for transatlantic trade and investment agreements with Canada and the US respectively. In 2003, debates about a multilateral agreement on investment once again came to the fore at the WTO Ministerial Conference in Cancun. These talks were also a dramatic failure and, as a result, there is currently no prospect for a global treaty on investment. Instead, states continue to negotiate more BITs and regional treaties, making for an ever-messier and more complex array of international rules. Investment treaties appear deceptively mundane at first glance. Essentially they are reciprocal agreements between states to provide investors from one state with legal protection when they are operating within the territory of the other state(s). The precise content of these agreements varies to a certain degree. Generally speaking, they contain provisions on national treatment, most-favoured nation treatment, fair and equitable treatment/the minimum standard of treatment, and expropriation. However, these standards are very vague and they are consequently open to a considerable amount of interpretation. Experience has demonstrated that minor variations in wording can have substantial consequences for governments. As there is no global treaty on investment, there is also no international investment court. Instead, one-off arbitral tribunals review the cases launched by investors and interpret the provisions in investment treaties. Procedurally, these tribunals follow established arbitration rules, typically those developed by the UN Commission on International Trade Law (UNCITRAL) or the International Centre for the Settlement of Investment Disputes (ICSID). Regardless of what rules are chosen by the investor, the tribunal will have three members: one chosen by the investor, one chosen by the state and a third that is mutually agreed upon and will act as president. It is not only barristers and retired judges that are frequently appointed as arbitrators, but also professors, who in many cases also have careers as leading private lawyers. From the historical context in which BITs were first developed one can extrapolate what states intended to give arbitrators authority over: the resolution of certain types of disputes that might arise between a government of one party to an BIT and an investor from one the other party to the BIT. Their intention was not to extend protection to all investors, but only to those that were domiciled in the other party to the BIT. Furthermore, their intention was not to delegate to arbitrators the authority to resolve every possible type of dispute that could arise between an investor and a government. The expansion of arbitrator authority in recent years stems from arbitrator movement away from the intentions of states both in terms of who should be protected under investment treaties and what constitutes a breach of treaty. On the issue of who should be protected, there are ongoing debates about the definition of the fundamental terms ‘investor’ and ‘investment’, but the key problem is ‘forum shopping’—when a multinational corporation establishes a holding company in one treaty party in order to access arbitration when a dispute arises over its investment in the territory of another treaty party.10 A classic example of a forum shopping investor is the American firm Bechtel. When a dispute arose over its investment in Bolivia, Bechtel established a subsidiary in The Netherlands in order to access arbitration through that country’s BIT with Bolivia (the US-Bolivia BIT was not in force at the time). As noted in the introduction, Philip Morris International also engaged in forum shopping to bring a suit against Australia. Tribunals that have decided that they have the jurisdiction to hear the claims of forum shopping investors have expanded arbitration beyond what was intended by states when they established reciprocal relationships with other states through BITs. In terms of what constitutes a breach of an investment treaty, prior to the mid-1990s when ISDS began to flourish, only very dramatic actions by a state that were clearly directed at an investor (e.g. an expropriation of property or a blatant act of discrimination) were seriously contemplated as breaches of international law. However, in more recent cases several standard investment provisions have been interpreted in such a broad manner that it would appear that (at least some) arbitrators believe that it is in their purview to review any state regulatory action, or indeed inaction, that has a negative (not necessarily devastating) impact on a foreign investor or investment. The clearest example of this is the arbitration-induced evolution of the ‘fair and equitable treatment’ standard. Several tribunals have moved away from the traditional customary international law understanding of this term (requiring states to provide a ‘minimum’ standard of treatment including access to justice) and have advocated a ‘plain meaning’ interpretation that requires a state to: comply with the tenets of ‘good governance’; maintain a ‘stable and favourable investment climate’; and meet the ‘legitimate expectations’ of foreign investors. Such a capacious standard effectively allows tribunals to review any regulatory measure, even if it was enacted in the public interest. By expansively interpreting both who is protected by investment treaties and what such protection entails, arbitrators have pushed the bounds of the authoritative space that had been carved out for them by states. Not every tribunal is has opted to expand arbitrator authority; some arbitrators appear to be concerned about how such expansion could threaten the legitimacy of the system and have tried to rein in their own colleagues. Nevertheless, it is also worth pointing out that, generally speaking, arbitrators have a strong incentive (continued employment in an incredibly lucrative field) to constantly push the limits of what is within their purview. Only investors can launch ISDS disputes and, as such, these are the main clients that all arbitrators should theoretically be concerned with pleasing. If the scope of arbitrator authority is not stretched and expanded, the investment treaty arbitration business will shrink as investors with marginal cases lose interest. Furthermore, the procedural rules of ISDS facilitate and even reward arbitrator bias. Unlike national (and most international) legal systems, individuals involved in investment treaty arbitration can act as arbitrators in one case and legal counsel in another, despite the obvious conflicts of interest to which this gives rise. It has been said that “the awards of arbitrators are more widely enforceable than any other adjudicative decision in public law”.11 Investment treaties often explicitly obligate states to recognize awards, thus allowing investors to seek enforcement in the local courts of the host state. Furthermore, where treaty provides for enforcement under the Convention on the Settlement of Investment Disputes between States and Nationals of Other States (ICSID Convention), an investor can seek enforcement in the domestic courts of any state party to the Convention. Awards may also be enforceable under other arbitration treaties such as the Convention on the Recognition and Enforcement of Foreign Arbitral Awards (New York Convention). Many ISDS claims now exceed US$1 billion and although the compensation actually awarded is generally much lower than what is sought, the impact on the public purse can be substantial. Tribunals are given a significant degree of discretion to determine damages, which may include a company’s ‘lost future profits’. Many ISDS claims now exceed US$1 billion and although the compensation actually awarded is generally much lower than what is sought, the impact on the public purse can be substantial. The Czech Republic was obliged to pay more than US$350 million in compensation to a Dutch investor, which according to one report meant a near doubling of the country’s public sector deficit.12 In 2014 the US$1.77 billion award against Ecuador (brought by Occidental Petroleum) – previously the largest known ISDS award in history – was vastly outstripped with a mind-boggling US$50 billion award against Russia in its high profile dispute with the oil company Yukos. Even if a state wins a case taxpayers may still be on the hook for a large bill because there is no ‘loser-pays’ rule. International arbitration was originally seen as a cheaper and quicker alternative to domestic courts, but it is actually very expensive and cases can drag on for years. An OECD survey shows that legal and arbitration costs for the parties in ISDS cases have averaged over US$8 million with costs exceeding US$30 million in some cases.13 Australia has reportedly already spent AUD$50 million in the jurisdictional phase of its ongoing case with Philip Morris.14 In contrast, the government’s legal costs to defend the tobacco plain packaging legislation in the Australian High Court was estimated to be in the range of a few hundred thousand dollars and the claimants were required to cover those costs when they lost the case. The considerable procedural costs associated with arbitration as well as the risk of having to pay large awards has led some scholars to suggest that the mere threat of an investor-state dispute could chill the development of regulation in the public interest. In a globalised world, ISDS cases may also be initiated in one jurisdiction by investors hoping to deter the development of policies in other jurisdictions. This may, in part, explain Philip Morris’ disputes with Uruguay and Australia over plain packaging of cigarettes; i.e. the company may be hoping that the threat of arbitration will deter the development of similar labelling policies in other countries. The absence of evidence of any clear benefits of investment treaties in terms of increased FDI flows coupled with increasing concerns about the costs of the system have led many countries to reconsider BITs and the inclusion of ISDS clauses in trade agreements. Reactions have ranged from the rewording of certain treaty standards in new agreements to the more radical rejection of and withdrawal from BITs and arbitral institutions. Australia has also had a complicated relationship with ISDS. The debate about ISDS in Europe has since intensified. Negotiations for the Comprehensive Economic and Trade Agreement (CETA) with Canada concluded in in October 2013, but in January 2015 France and Germany requested that the European Commission review the treaty and remove or modify the ISDS provisions. In part, this is an attempt to also steer the ongoing negotiations in the Transatlantic Trade and Investment Partnership (TTIP) with the US. 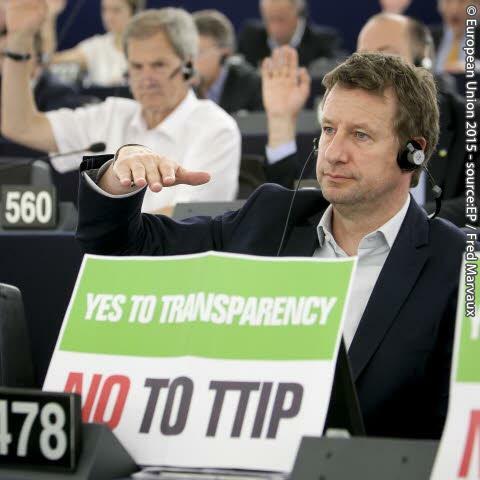 The results of a public consultation on ISDS in TTIP resulted in over one hundred and fifty thousand submissions, the vast majority of which expressed opposition to its inclusion in the treaty. Australia has also had a complicated relationship with ISDS. 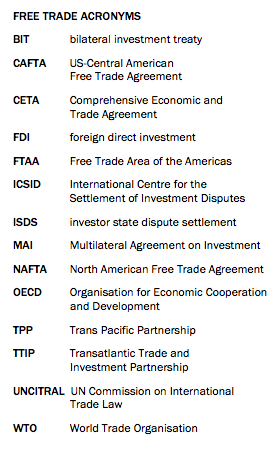 The Australia-US Free Trade Agreement, signed by the Howard Government in 2004, excluded ISDS. Australia subsequently negotiated several agreements containing ISDS but in April 2011 the Gillard Government discontinued this practice. Gillard’s policy was that it would not support “provisions that would confer greater legal rights on foreign businesses than those available to domestic businesses” or “provisions that would constrain the ability of Australian governments to make laws on social, environmental and economic matters in circumstances where those laws do not discriminate between domestic and foreign businesses”.23 The Abbott Government has since abandoned this policy, opting to approach ISDS on a case-by-case basis, accepting it in treaties with Korea and China.24 The change in policy provoked a Greens Senator to propose a piece of legislation that would effectively ban ISDS.25 Labor failed to support that legislation, but at its most recent conference it reaffirmed its opposition to ISDS. A change of government would, therefore, likely result in the reinstatement of a de-facto ban. What is the future for the ‘law of greed’? The future of international investment law is uncertain. Although some governments continue to sign BITs, they are doing so at a much slower pace than in the 1990s. While this is in part a result of the inevitable exhaustion of potential treaty partners, it also reflects increasing doubts about the value of investment treaties. As the number of new treaties declines, the content of those that do emerge is also evolving in a way that reduces arbitrator discretion and, thus, authority. Nevertheless, even if no new treaties – like the TPP – are signed, governments around the world will still be shackled by the over 3200 existing treaties. And because of the ease in which corporations can shift nationality to forum shop, this effectively means that governments are exposed to claims from all investors with the resources to launch a case. That’s the bad news. The good news is that it is fairly straightforward for governments to terminate BITs (removing investment chapters from trade deals is much more complex). Many BITs allow for unilateral termination after an initial ‘lifespan’ of ten years, although ‘sunset’ or ‘survival’ clauses can protect existing investors for a ten to twenty year period after termination. BITs have been unilaterally terminated by Venezuela, Bolivia, Ecuador, and South Africa. It has also been reported that Indonesia is considering terminating all of its BITs. Termination of BITs and the abandonment of ISDS is the most sensible course of action for governments to take. 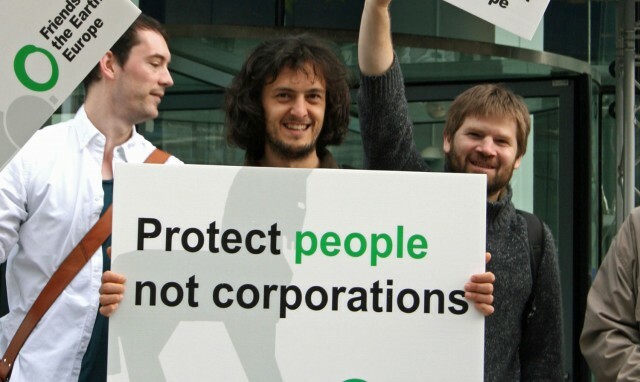 Much ink has been spilt in the academic literature about potential ‘reforms’ of ISDS and many claims have been made by governments about the introduction of ‘safeguards’ to prevent investors from winning claims over public policies. However, the reforms (e.g. introducing an appellate mechanism) are wrought with practical difficulties and the ‘safeguards’ have loopholes that creative lawyers can exploit. But even if none of this were the case, the fact remains that there is no strong economic justification for ISDS. Investors can find protection in other mechanisms like political risk insurance and when investment disputes are serious they can be resolved through state-state dispute settlement as is the norm for trade disputes. Unravelling and dismantling the ‘law of greed’ will not be easy. But there is every indication that discontent with the system is growing, providing the momentum necessary to bring about change. Strong reactions against ISDS are no longer confined to ‘radical left-leaning’ governments in Latin America; steps to withdraw from investment treaties or limit their application have been taken by governments with very different perspectives on broader issues of globalization and trade liberalization. And complaints about ISDS from civil society are also not limited to one end of the political spectrum: farmers that want to be able to ‘lock the gate’ to gas exploration companies share the same concerns about the system that environmental NGOs do. As such, there is real potential for this issue to bridge traditional political divides and for common sense to prevail. This article is based on a chapter for the forthcoming book Regulation, Institutions and Networks edited by Peter Drahos and published by ANU e-press. Next Article → Coming soon…….